Indian Lake BPA students do well at regionald, and some go on to state competition. 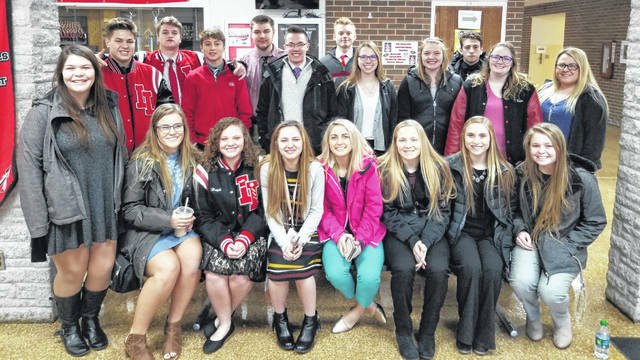 More than two dozen Indian Lake High School students recently achieved success in various events during the Region 16 Business Professionals of America Competition. Twenty-eight students entered projects and 19 attended the Awards Ceremony at the University of Northwestern Ohio. Kendra Dunn took first place in Business Law and Ethics, while Lindsay Berg took third. Melayna Sweet and Miranda Arnold rounded out the top five in that category. Ashlyn Huffer scored first place in Fundamental Word Processing, while Kelly Shoffner placed 4th. In Financial Accounting Colin Powers took third and Linsday Berg was sixth. Dunn, Berg, Shoffner and Huffer advance to the State BPA Competition in March. Submitted by he Indian Lake school district.